The neighbors have a lawn service and their guy comes out on Wednesdays. So, I try to cut my grass on Wednesdays also because our yards kind of flow together. And the neighbor behind us, if they see us out they will also cut their grass on the same day, to keep it all looking nice at the same time...So we kind of keep an eye on each other, thinking OK, this is grass cutting day. As Suzanne suggests and as echoed by myriad other informants, the needs of the lawn are the business of the community. Survey results indicate that lawn managers who use chemicals are statistically more likely to know their neighbours by name than those who do not use chemicals, they are more likely to claim that their neighbours use chemicals, and they are more likely to report being interested in knowing what is happening in their neighbourhoods (Robbins and Sharp 2003 a and b). Lawn chemical users further are more likely to report that their neighbours' lawn care practices, no matter what they were, have a positive impact on "neighbourhood pride". As a result, intensive lawn management tends to cluster. If one's neighbours use lawn chemicals, then one is more likely to engage in a number of intensive lawn care practices, including hiring a lawn care company, use of do-it-yourself chemicals, and doing so more often. In addition, lawn management in general is associated with positive neighbourhood relations. People who spend more hours each week working in the yard and report greater enjoyment of lawn work, feel more attached to their local community (Robbins and Sharp 2003). "[There are neighbourhoods where] .if you don't cut twice a week you are a communist! It's like, oh man!" Using lawn chemicals further confers social rewards on the user. 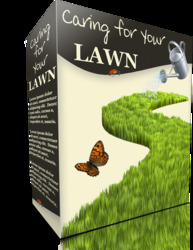 Lawn chemical users stress the way in which a well-maintained lawn reflected good character and social responsibility. They also commonly report feelings of social anxiety, describing comments from their neighbours and shame when lawn maintenance falls behind. In some cases lawn owners have been sued by their neighbours or had their yards mowed, turf restored, and saplings destroyed by neighbours or subdivision managers without legal action or permission (Crumbley 2000a, b and c; Crumbley and Albrecht 2000; Van Sickler 2003). Again, these responses and behaviours are most common where people know their neighbours by name and are cognizant of things going on in the community around them. This social process, where the neighbourhood resembles a small village, governed by face-to-face norms, suggests the disciplinary character of turfgrass institutions. The lawn, therefore, must be viewed as a techno-social system. This convergence of technologies (Diazanon) and social norms (collective community desire for green grass) become mutually reinforcing as lawn is forged out of human labour, normative ideologies and aesthetics, and capitalized inputs. Such an assessment complicates the clean distinction between production and consumption (is turf consumed or produced by homeowners?) as well as public and private (is the lawn a private or community good?). 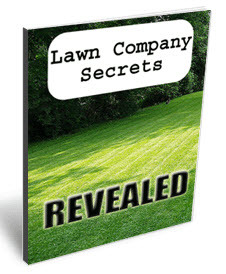 Even this potent explanatory cocktail under-specifies the nature of the systemic linkages in the lawn system, and leaves unanswered questions. How, after all, could large firms influence the structure of community desire? In part, of course, one could imagine community desire to be a form of institutionalized instrumental capitalist logic; the preservation of housing values in upper-middle-class neighbourhoods creates a conspiracy of mutual poisoning. And yet here too, explanation rings hollow. What produces this complex and internally jagged ideology—the desire to tend, mow, clip, and apply toxins, specifically amongst people who recognize and acknowledge the associated risks? How does this system of ideas take hold, maintain, and reproduce itself in growing legions of chemical users? What mechanism is the conduit for such an ideology, connecting global agrochemistry, community norms, and personal aesthetics?